14: discounts and sales – should you do them? Is it ever a good idea to offer a discount or have a sale? If everyone else is doing it, should you also be doing it? When is the right time to offer a discount? What’s the actual purpose of running a sale? Should you participate in sales events like Black Friday or the Boxing Day Sales? 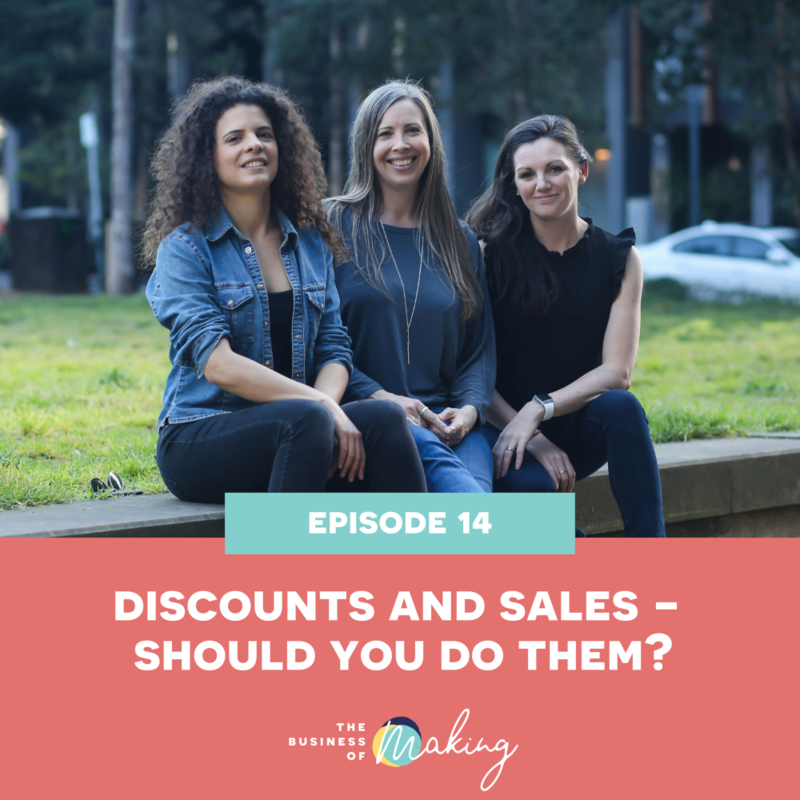 Listen in on our new episode because this might be what you need to hear to help you decide whether you should also participate in the next big sale event in your area. We hope you enjoy this episode – when you’re done listening, make sure to come and let us know what you thought in our free Facebook group. Difference between businesses that sell made to order products or on-stock products. Don’t feel like you have to participate in sales events. Why you should participate or avoid it. How and when to give special discounts especially for your loyal customers. How constantly giving discounts can devalue your brand. What to do when someone asks for a discount. Building a list of customers who are interested in your products. Do the thing that works for you and your business.